Expression analysis provides clues about what makes some peanut strains more susceptible to fungal toxin contamination. In 1960, 100,000 turkeys across hundreds of English poultry farms died from aflatoxin contamination in the peanut meal in their feed. 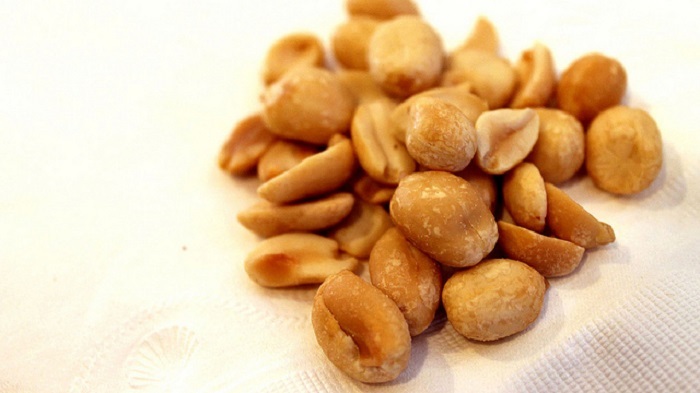 Aflatoxin is a potent carcinogen produced by fungi of the genus Aspergillus, which can grow on peanuts. Although the peanut butter in your supermarket is tested for aflatoxin before it reaches you, fungal toxin contamination remains a major problem for peanut producers. Some peanut strains are more likely to become contaminated than others, but the reasons for this difference aren’t clear. In a report in GENETICS, Korani et al. examined the transcriptomes of peanuts and fungi to gain a better understanding of what makes some peanuts resistant to contamination with aflatoxin. The authors chose two strains of peanut—one that was resistant to aflatoxin contamination and one that was susceptible. They infected some seeds with the aflatoxin-producing fungus Aspergillus flavus, leaving some seeds uninfected as controls. They used RNA-seq to examine differential gene expression in both the peanuts and the fungus. By comparing gene expression between uninfected and infected seeds and between resistant and susceptible strains, the authors were able to identify consequential pathways. They found that resistant plants had higher expression of genes involved in the synthesis of jasmonates, which are plant hormones known to be involved in plants’ response to biotic stresses, such as insects. This suggests that jasmonates might inhibit fungal production of aflatoxin. The authors also examined the transcriptome of A. flavus grown on resistant or susceptible peanut seeds. Interestingly, they found significant differences in the expression of a number of metabolic genes, particularly those involved in carbohydrate processing. These results suggest that different peanut strains may alter the metabolism of fungi growing on them, leading to decreased aflatoxin production. This study provides clues as to potential mechanisms of aflatoxin contamination-resistance in peanuts. The authors note that the study was not designed to identify individual genes important in resistance phenotypes; they analyzed whole pathways instead. Further studies will be needed to demonstrate causality, but a better understanding of these resistance mechanisms will help farmers ensure that our beloved peanut butter remains safe to consume.